Bauer Vapor X500 Ice Hockey Skates - Senior is rated 4.3 out of 5 by 13. The Bauer Vapor X500 Hockey Skate is high quality hockey skate featuring a Thermoformed X-rib pattern on a tech nylon boot. It has integrated anatomical heel and ankle support. Inside the boot, the Vapor x500 has FORM FIT+ footbed with an anatomical two-piece, white felt tongue, and Anaform foam ankle pads. It also features a hydrophobic microfiber liner and a molded comfort EVA foam footbed. The Vapor X500 hockey skate features the TUUK Lightspeed Edge blade holder with TUUK Super stainless steel runners. Weight: 810 Grams Weight of the skate measured in Grams (Sr 8.0D, Jr 4.0D, Yth 12.0D). Tongue Material: Anatomical 2-piece 40 oz. felt, with metatarsal pa Type of material and design of the tongue. Boot Construction: Tech nylon with thermoformed X-rib pattern Type of material the product is primarily made of. Rated 5 out of 5 by JimboHockey from Flat feet feel OK in these I did a lot of research and tried on many different pairs of skates at the local Total Hockey shop. These skates were the best choice for me and my level of play. I have flat feet and was concerned about comfort. So far I haven't been disappointed with my purchase. Rated 5 out of 5 by HockeyGuy3632 from Skates Overall a pretty good pair of skates for the price. Rated 5 out of 5 by zuggly from Best $200 I've Made When compared to the Nexus (Wide) and the Supreme (Anatomical), these fit me the best, hands down. I wear a size 9.5 shoe and chose a size 8.0 skate. After baking and finding the best lacing setup they're super comfortable. I prefer to skip the top eyelet to allow sufficient forward flex. The only thing I don't like is the footbeds, which are thin and flat. However, they're easy to remove/replace with whatever suits you. Rated 5 out of 5 by bonana from Perfect fit! These skates are a perfect fit for my feet. Very durable and light weight. Highly recommend for rec players. Rated 5 out of 5 by Troy from Great for the price I needed an inexpensive skate that I could rely on while I saved up money for more expensive skates in the future. I could not be more happy with these skates. They have the comfortability and durability of some of the higher end skates I have owned in the past. I will definitely be sticking with the Vapor line of skates for a very long time. Rated 5 out of 5 by Kansas from Very nice fit Best skates in a while. Comfort, speed - they have it all. Rated 1 out of 5 by Ref Jim from My skates were defective. R-blade was off-center I purchased the Bauer Vapor X500 2016 model for officiating purposes. After baking & profiling, I wore them to officiate a low level game. From the get go they felt unstable. The right blade felt pigeon toed – it kept bending inward. I couldn't turn to my right. After the game, I examined the skate closely and realized the right skate blade was riveted 1/8" off center and skewed to the left. My pair of skates should never have passed the factory inspection test. I took them back to Pure Hockey and exchanged for a 2017 model pair. Vito from DG, IL Pure Hockey handled the exchange very professionally. My new 2017 Vapor X500 model feels Great. I want to reiterate IT WAS MY PAIR OF VAPOR X500 THAT WERE DEFECTIVE ONLY and not the whole batch! Overall - My 2016 Vapor 500 Skates bad , Pure Hockey Good! Rated 5 out of 5 by EMAN19 from Feels better than a shoe. Very happy with the skate. Pure hockey baked the skates and gave me a sharpening for free. There was a better deal on their website and they honored all the free stuff. I Was thinking about inserts but skated with them for a month and no foot cramps. Very well engineered and awesome price. how sharp do the blades come when they are shipped? will I need to get them sharpened before use? They do not come sharpened. You would need to get them sharpened before use. what is the difference between these and the Bauer Vapor x400? A major difference is the X500 has the Edge holder which allows for quick interchanging of runners. Another major difference is the Liner and Outsole construction which will make the X500 more durable and longer lasting than the X400. In your opinion, is there a major difference between vapor x5oo and the supreme 160? Yes, Supremes and Vapors fit very differently. 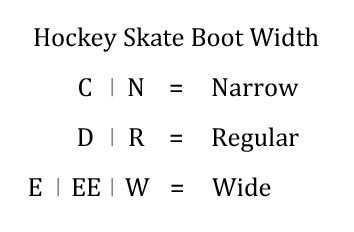 The technology that each model features in their skate every year changes which will cause different features and materials in that particular skate. Is the stiffness of these skates ok for a 6'1 230lbs man? The X500 will not have the same stiffness as the upper level models, as it is constructed using a tech-nylon quarter panel. However, one player's stiffness preference is not the same as another's and there are more variables that one's size that could factor in. 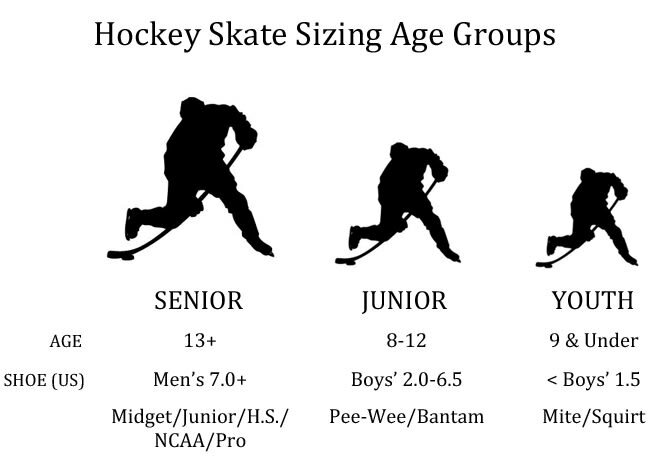 Skating style, strength of stride, level of competition/amount of use, etc. could all make a contribution to the necessary stiffness of a skate. What level of play would you recommend for these skates ? X500 skates are great for any skater who is learning the game. I am a size 12 in most shoes and also have a pair of eastons in a 12 that fit me well.are the bauers sized similar to eastons? You would probably want your Bauer a size smaller than the Easton skates you currently wear. What are the major differences between these and the X600's? Not much other than the 600s being a little stiffer and a little higher quality. To me there is basically no difference.